From informal garden weddings to elaborate banquets, the SA Wedding Décor Team who are based in Lanseria,are ready to assist you every step of the way with your Gauteng Wedding. 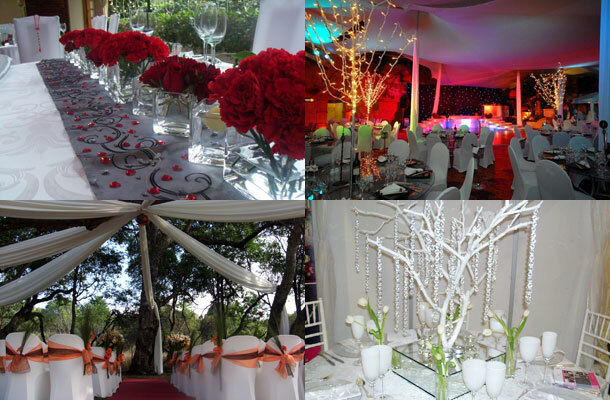 Not only do they assist with weddings but also for gala dinners, parties and corporate events. Owner Amanda van Dalen is always willing to share her many years of experience with you, and to work with your ideas to recreate the fantasy wedding you have always dreamt of. With her key focus on high quality and exceeding customer expectations she has a long list of satisfied brides, venues and corporate clients on her portfolio. Contact Amanda van Dalen on telephone +27 (0)11 026-4005 or on her mobile: +27 (0)83 455-6750. See SA Wedding Décor for more info. 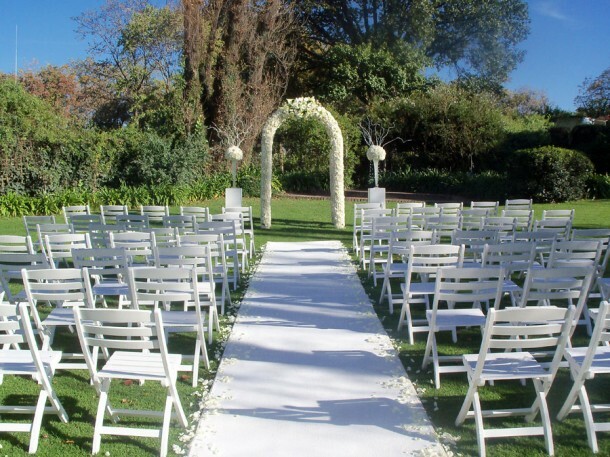 Please can you help me, i am desperatley looking for a white isle runner carpet for our special day…. Hi, could you kindly let me know once you find out where to purchase the aisle runner. This is very beautiful love it guys your job is fantastic keep it up.